Every person in Offenbach and its surrounding areas can now be electrically mobile. After a single registration, you can access our electronic vehicles at six stations - at the Markplatz, at Nordring and at Ostendplatz in Bieber, in Rumpenheim, in Tempelsee und An den Eichen. Overall six electric cars and 20 power-assisted bicycles will be ready for you in a well-maintained condition. 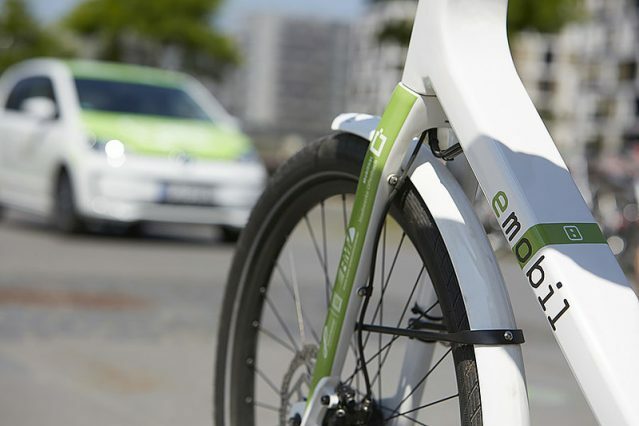 The two new stations have already made eMobil a flexible rental system for electric cars and power-assisted bicycles. You can return the rented vehicles at any station of your choice. You can use the eTicket RheinMain or the eMobile App to obtain free access to the vehicles 24/7. The holder of the RMV-commutation ticket gets ten percent discount on the rates of eMobil RheinMain. Please visit the eMobil RheinMain homepage for more information!